How Much Does a Liquor License Cost in California? In order to secure a California liquor license, you will likely have to jump through various hoops. Your process will include zoning applications, finding the license you need, and obtaining it at a fair cost. Depending on your situation and the current market, the process of obtaining a license can take anywhere from 60 days (if you are lucky) to upwards of a year. Once you decide to apply for a liquor license, you have to consider a variety of factors that will come into play. As you may have already gleaned, procuring the right permit for your business without comprehensive knowledge can make the process more convoluted and complicated. If you don’t already understand the ins and outs of the application and transfer process, including prerequisite paper work and legalities, you will find yourself unprepared, and you may be fooled into a bum deal by a seller willing to take advantage of your lack of knowledge. What Type of Liquor License Should I Apply For? There are many types of liquor licenses and it’s vital that all proprietors determine which license will fit his or her individual needs. The team of liquor license professionals at License Locators will be happy to help you secure the right license for your business goals, whether you are a restauranteur, club owner, seeking to start your own bar, a proprietor of a corner store, or looking to invest in a gas station. When you are shopping for online liquor licenses, it is easy to be overwhelmed by the sheer variety of alcohol permits available. Getting your hands on the correct liquor license isn’t always an easy task. There are a limited amount of liruoq licenses available and once they’re depleted, buyers are forced to purchase from private sellers who hold preexisting licenses. Each state and county has a limited number of licenses for issue at any given time. That puts the power in the hands of the sellers. Old businesses who are closing up shop may charge based on the strength of the market. If the amount of buyers exceeds that of the sellers, for instance, and aspiring owners are clamoring among each other to get an elusive liquor license, the prospects then become a seller’s market. This means that people who want to buy are more likely to pay a higher price, so much so that the license can become unaffordable. However, in a reverse situation where demand happens to be low and license holders are itching to sell, you may have an easier time obtaining a license at a fair price. Because you are required to purchase permits from proprietors who already own an alcohol permit, you may need assistance in parsing out the details. 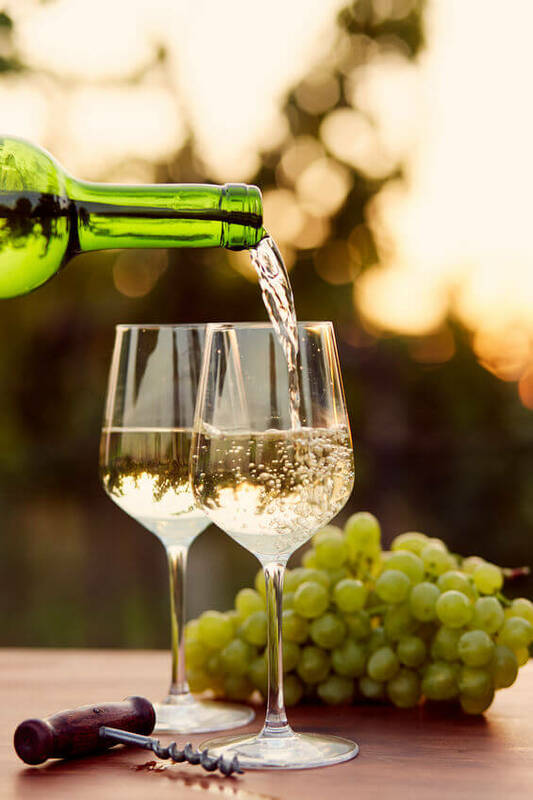 The professionals at License Locators take pride in their expertise involving the sale and transfer of liquor licenses; we’ve help numerous buyers obtain liquor licenses from other businesses. We have the experience and skill to expedite and streamline the process while ensuring that your personal assets remain safe and secure. The type of license you need can determine the price you expect to pay, so let us ensure you’re in pursuit of the correct permit before you begin the transfer process. In order to ascertain the cost of your license, you must first determine which liquor license you mean to procure. There are currently four different types of liquor licenses in California that a proprietor must choose from before legally selling any form of alcohol. The four types of licenses are called Type 20, Type 21, Type 47, and Type 48 licenses. Type 20 License: A Type 20 license is intended for establishments that offer off-sale beer and wine only. This means these items may be purchased onsite but are legally required be consumed off of the premises of the establishment. This is the most popular option for businesses such as gas stations and convenience stores. You may notice that you never see liquor sold at most gas stations. The reason for this is because they own a Type 20 license, which does not permit the sale of liquor. These licenses are usually the least expensive of all four options. Type 21 License: This license is similar to a Type 21 alcohol permit, except that it also allows the sale of liquor. This is generally the most popular option for liquor stores, who differ from convenience stores in that they will sell more alcohol and alcohol accessories. These will typically be more expensive. Type 47 License: This is the license that is most commonly bought by restaurant owners who desire to serve beer and wine with their food. As an On Sale General Full Liquor license, these licenses are required by law for restaurants and any other eating establishment, and are exclusive to the sale of beer and wine only. One of the most important requirements entailed by the Type 47 license is that all establishments are required to show that 50 percent of their sales come from food. In order to prove this, the owner must be able to show that the restaurant of eatery receives at least 50 percent of gross receipts from food sales. As you might imagine, this can be a more difficult license to obtain. In metropolitan areas where eateries and restaurants abound, these licenses can be particularly difficult to procure, which can drive up prices. Type 48 License: These licenses can be very costly and hard to come by. Depending on the location of your establishment and current market trends, you may find yourself paying over $300,000 for this precious license. The Type 48 license is used by establishments that exclusively sell beer, wine, and liquor to patrons 21 years of age or older. In this type of establishment, the business is not required to serve food. Places that benefit from a Type 48 license include nightclubs, dance bars, or any other establishment that serves alcohol but no food. How Much is a Liquor License in California? When researching liquor license prices in California, you will notice that pricing is not consistent. That is because the cost of California liquor licenses is highly dependent on the location and the county. The competition for liquor licenses in a busy metropolitan city such as Los Angeles County may be quite different than counties with smaller populations, such as Colusa County. In California, there are 58 counties, and each has a different number of alcohol permits that are allowed to be used within county lines. Because of this, you will have to purchase a license on the open market from a pre-existing cache of licenses from current permit owners. Many people hoping to secure a license have many questions regarding the process, starting with “How Much is a Liquor License?” Due to the diversity of density and demographics across all counties in California, the price varies widely. The cost of a liquor license can vary, starting from a few hundred dollars to upwards of $300,000, and the set price relies on a bevy of factors. Unfortunately, there is no straightforward answer to this question, because acquisition of an alcohol permit requires many stages, which all have their own costs to consider. Consider also that there are many different kinds of alcohol permits that are designated based on a variety of factors: the type of alcohol you intend on selling, such as beer and wine, and the establishment you are selling it from, such as a restaurant or gas station. The prices of securing one of the various licenses available will fluctuate at different rates according to demand in that county. Prices vary greatly according to the type of license secured and the county in which the license was issued. The most expensive of these licenses are generally full on-sale liquor licenses, which include the sale of beer, wine, and liquor for consumption on premises. The price of these licenses can reach an excess of $400,000. Liquor licenses that only permit the sale of beer and wine will typically be much cheaper. The cost for such a license will generally fall between the price of hundreds of dollars or a few thousand. Keep in mind that the cost of an alcohol permit is subject to market demands. Because each county has a limited number of licenses, obtaining one at a reasonable price is no easy task. One year, you may find that prices are through the roof, and the next year, you might notice that the prices have suddenly dropped, making the license process uncomplicated and affordable. Consult us at License Locators to increase the chance of finding the right license for you, while also reducing the work you have to put into the process. A variety of aspects play into the cost of a liquor license, so let our team help you source the best permit for the best price. After you decide which license you need to acquire, whether you decide to open a bar, restaurant, brewery, nightclub, or gas station, you will need to go through all of the necessary prerequisite work before a license can legally be instated into your possession. One of the most important prerequisites is that you obtain the proper zoning permit, as mandated by the California Department of Alcoholic Beverage Control. Before you’ll be able to procure a liquor license, the ABC requires you obtain the essential zoning permits for your area. Zoning permits are usually processed through city and county government factions, including your local office of Alcohol Beverage Control. These permits are most well known as Conditional Use Permits, or CUPs. If you need assistance understanding which zoning permit you will need, contact License Locators and we can aid you in the zoning permit process. You may also contact the zoning department in your city and speak to a city planner. He or she will inform you of the details of the zoning requirements in your area. They can even advise you as to whether or not a supplemental zoning permit is required while you choose to serve alcohol in your restaurant, convenience store, or other establishment. If you live within an incorporated city, you can expect to need a proper zoning permit. In order to receive a zoning permit, you will have to file a completed zoning application. The Department of Alcoholic Beverage Control in California requires that you show proof of your zoning permits, if they are in fact required in your area, before you may actually purchase and instate your license at the place of your business. There are various types of liquor licenses in California, and if you need help discerning which permit best suits your restaurant or club needs, License Locators can help you determine the proper option. From beer and wine permits to full liquor licenses, our wide inventory assures clients get the alcohol licensing their business requires. At License Locators, we have a proven track record of serving hundreds of proprietors to realize their business dreams and reach their economic potential with the help of a liquor license. We strive to help the pioneers in their business venture obtain and secure the license they need to give them success. Our team is made up of experienced professionals who are well acquainted with all legal matters regarding the liquor licensing process. Whether you seek to buy, sell, or simply procure more information, we are able to help you through every step of the way. If you seek to drastically improve the profits in your business, then obtaining a California ABC liquor license is the best course to take. Obtaining the California liquor license that best suits your needs can take a lot of your precious time and money if you do it on your own, so you are more than welcome to reach out to us at License Locators to make the process a smooth one. We can help you secure a permit from a pre-existing pool of licenses with little work on your part. We do not only offer our services to those seeking to buy permits. In fact, we have a vast experience with those who wish to sell their liquor licenses as well. If you are a proprietor wishing to sell a liquor license you can use the services at License Locators to find the perfect buyer willing to purchase a liquor license for a fair and lucrative price that will benefit both parties mutually. License Locators have the ability to process all of the steps of escrow. Whether you wish to buy or sell, we will be with you for every milestone until the license is transferred appropriately. We provide California escrow services to ensure be sure that every client of ours is completely prepared at every turn of the transfer process. If you seek to sell, we provide the best oversight to maximize your profits. If you wish to buy, we find you an affordably priced license for you. We have the skills necessary to analyze the market for the latest trends and strategize how best to go about selling your liquor license. Every step of the way throughout the transfer of their desired licensing for alcohol sales. If you need to obtain a beer license or your simple brewery, or your business requires a permit that will allow you to serve a full range of liquor, wine, and beer, our License Locator professionals has a massive inventory of licensing for alcohol sales. Whether you’re looking for on-sale or off-sale liquor licenses, our dedicated team of licensing experts can help you secure the alcoholic beverage permit your business requires. If you are in the market to obtain a California liquor license, let License Locators broker the best deal for you and your business. Whether you need a Type 20, Type 21, Type 47, or Type 48 liquor license, we are able to scope out the market for you to get the fairest deal. We can even assist you if you would like to find a liquor license for sale online. 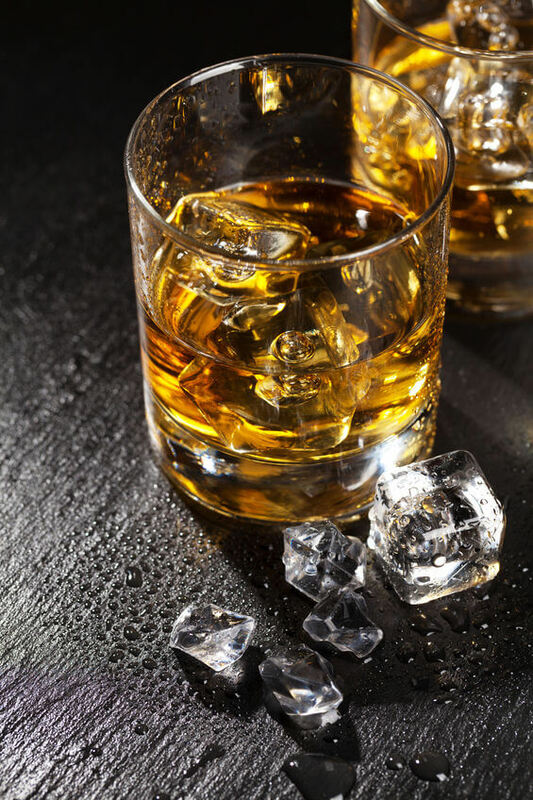 Even if you seek a Type 48 license, which is known to be the most expensive liquor license in the market, our professionals are determined to scour the area for a deal that will fit your budget most comfortably. Trust us to get you just what you need quickly, efficiently, and seamlessly. Without a doubt, the process of procuring an ABC permit in California is competitive and even frustrating if you are not in the know on the procedure. If you need assistance determining what is doable for your business and how to strategize your plan to obtain a liquor license, do not hesitate to consult our professionals at License Locators. The number of licenses are limited, prices can be tumultuous and chaotic, and the paperwork can feel overwhelming. The next time you ask “How Much is a Liquor License?”, look no further than License Locators to help you along the way to secure the best deal on a liquor license that suits your business needs. Looking to Sell a Liquor License? Get Started with License Locators, Inc., California’s Total Liquor License Resource. Looking to Buy a Liquor License? Buy with License Locators, Inc., California’s Total Liquor License Resource.